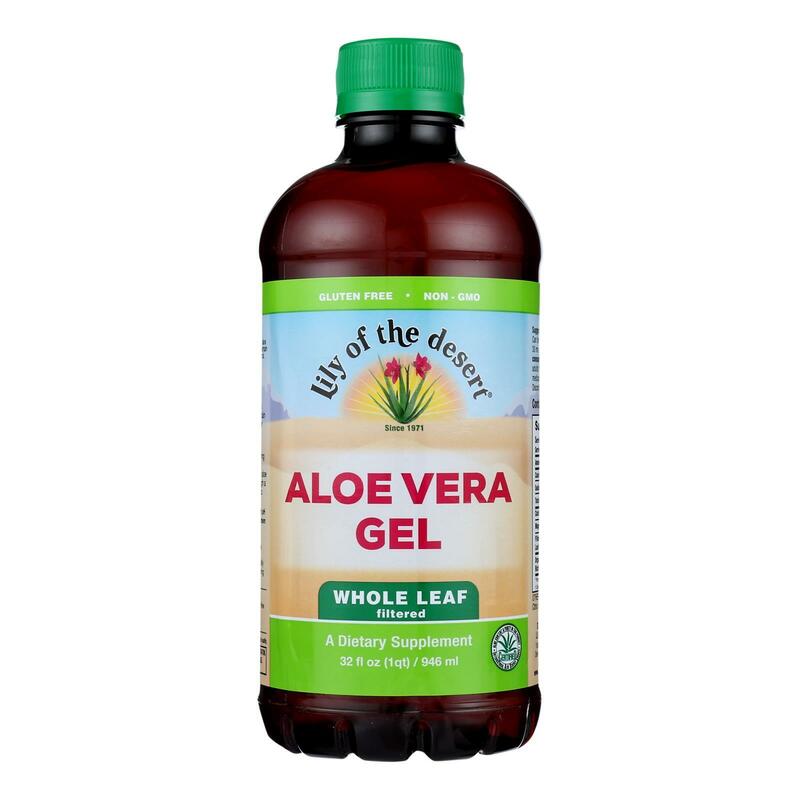 LILY OF THE DESERT WHOLE LEAF ALOE VERA GEL IS A DIETARY SUPPLEMENT MADE WITH ALL ORGANIC AND NATURAL INGREDIENTS INCLUDING 99% ALOE VERA JUICE, CARRAGEENAN AND CITRIC ACID. ONE 32 OZ. BOTTLE OF ALOE VERA GEL IS KOSHER AND CONTAINS 35 MG. OF CALCIUM PER SERVING TO HELP SUPPORT A HEALTHY IMMUNE SYSTEM AND DIGESTIVE REGULARITY.